Latest News 14-Apr-2018 | ITP successfuly organized Family Gala at F-9 Park Islamabad. 5-Dec-2018 | ITP Issues Traffic Diversion Plan for ongoing Protest at Express Chowk Jinnah Av. Islamabad. 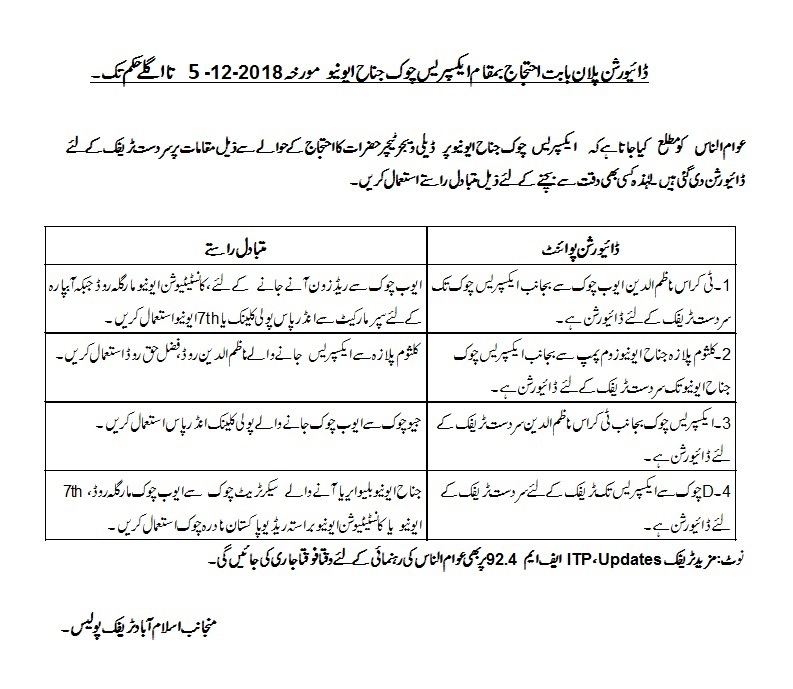 21-Nov-2018 | ITP issues Traffic Plan for 12 Rabi-ul-Awwal Procession 2018 Islamabad. 20-Nov-2018 | ITP issues Traffic Plan for 2 Days Seerat Conference 2018 at Jinnah Convention Center Islamabad. 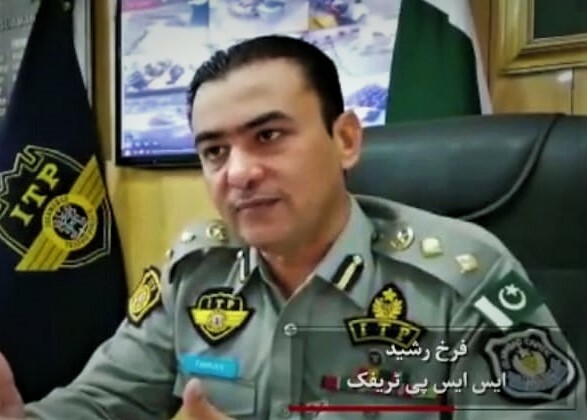 6-Nov-2018 | Worthy Inspector General of Police, Islamabad, Aamir Zulifqar Khan made his maiden visit to Islamabad Traffic Police Headquarters.